Andrew Wamukota’s presentation at the WIOMSA symposium on the structure-conduct-performance of nearshore marine fisheries in Kenya. This presentation is an exploration of the what we can learn from S-C-P in understanding poverty among actors. An application of S-C-P in nearshore marine fisheries is useful in understanding the behaviour of actors and how these influence their wellbeing. Although data analysis is not really done, there are forward and backward loops inherent at similar nodes (in terms of conduct e.g. no. of customers is +ve for fishers and –Ve for trader). A better understanding of this can be achieved by use of longitudinal data across similar fishers in the region. 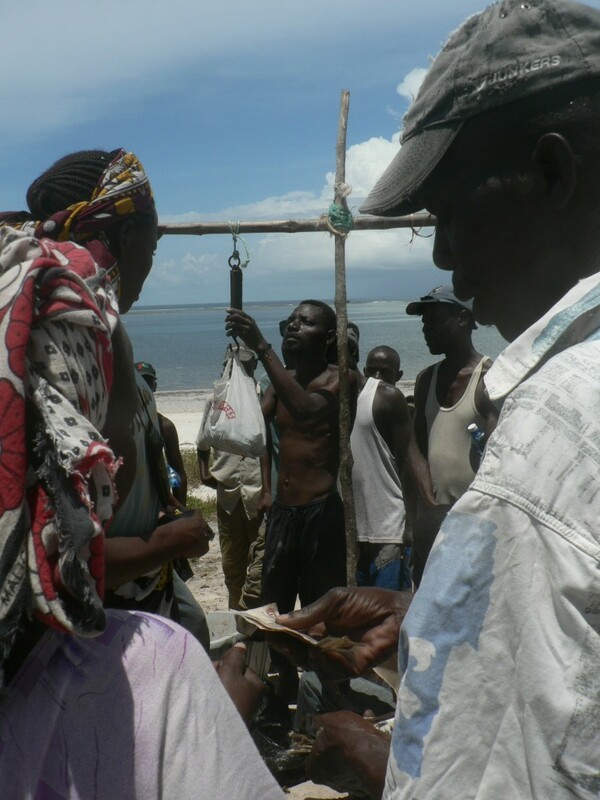 This article examines how selected socioeconomic characteristics of fishers and traders shape market prices at five coastal communities in Kenya. Focus groups elicited perceived factors affecting market prices, which were then tested using quantitative analysis. Ownership of fishing gear by fishers negatively influenced the prices taken. Fish traders who bought larger quantities paid a higher price. There was no significant relation between the choice of fish market by traders and fish price due to the diffused nature of the fish market. Although fish traders had relatively high income than fishers, the link between individual characteristics, market prices, and the outcomes of such interactions is more complicated than commonly perceived. The complexity is enhanced by the heterogeneity in different fisheries and of the prices at different markets and underlines the importance of continued documentation and exploration of the relationships between social and economic status and market prices for fishers and traders.